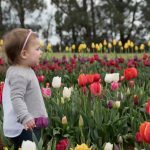 If you are looking for a kid friendly café in Melbourne’s West, look no further than Orange Hat Café in Altona. 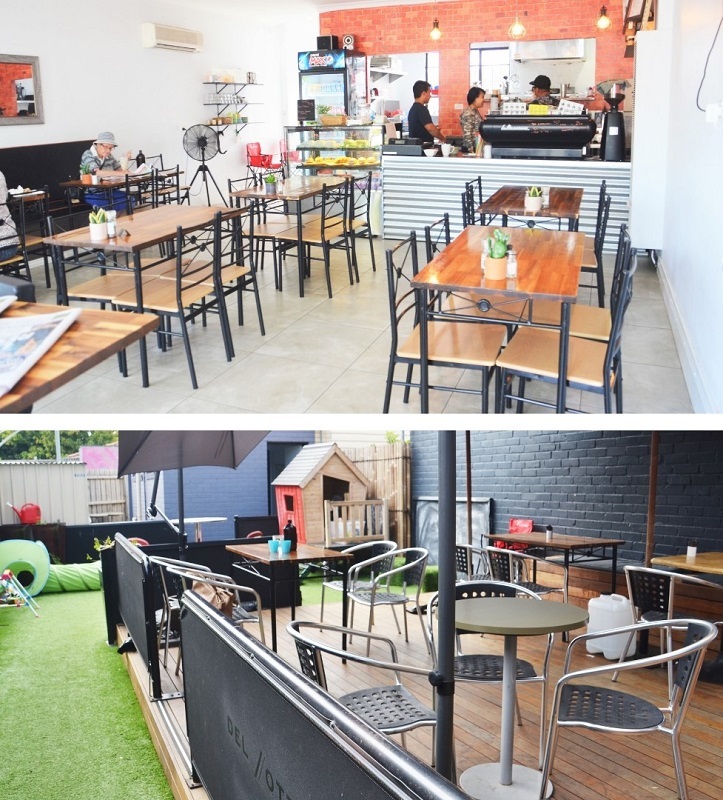 Situated in the popular Harrington Square, Orange Hat café boasts an indoor and outdoor eating area with a backyard play area for the kids. 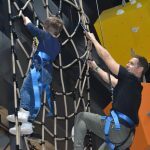 Looking for somewhere to have a meal with the kids? Or maybe just a coffee in peace while the little ones are entertained? Orange Hat Café in Altona offer just that. 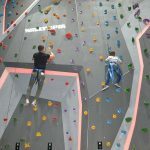 With kid friendly meals, and a play area with a cubby house, wall chalk board, and various toys, you can sit back, relax, and have a chat while the kids play. Choose to sit on the inside tables, or on the outdoor covered decking looking over the play area. The Orange Hat Café menu has a range of your favourite breakfast dishes such as bacon and eggs, and smashed avo on toast which can be ordered all day. 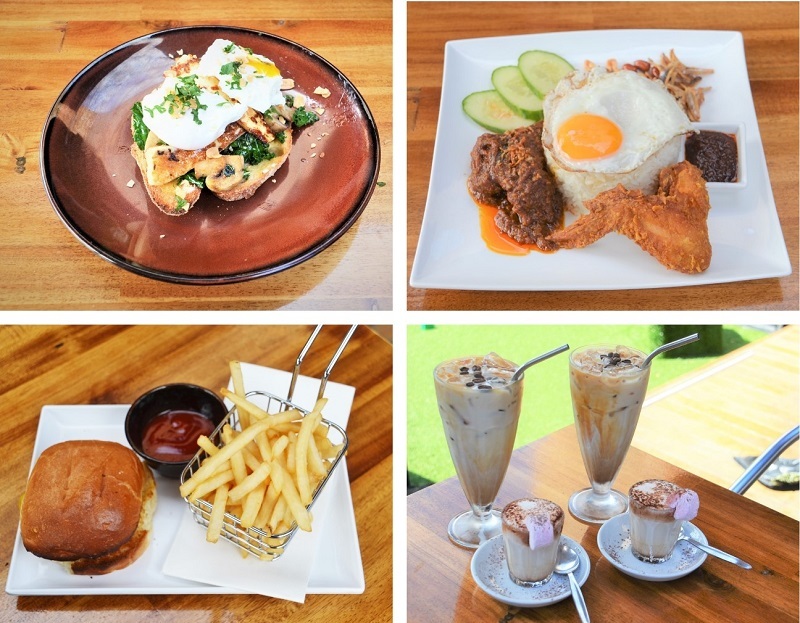 Their lunch menu has your favourite burgers as well as special Asian dishes too. Vegetarian, vegan, and gluten free also available. For something to drink, you can order a soft drinks, ice teas, water, most types of coffees and tea. For kids they even serve up babycinos. Breakfast dishes range from $8 for your basic eggs on toast, up to $21 for your “Big Breakie on Toast”. Lunch from $12 for your basic burger, up to $24 for the ribs. Kids meals a bargain at $6. Orange Hat Café is fast becoming a favourite with the locals because of their mixed Western and Asian menu, and also because of it’s close location to Altona Beach. 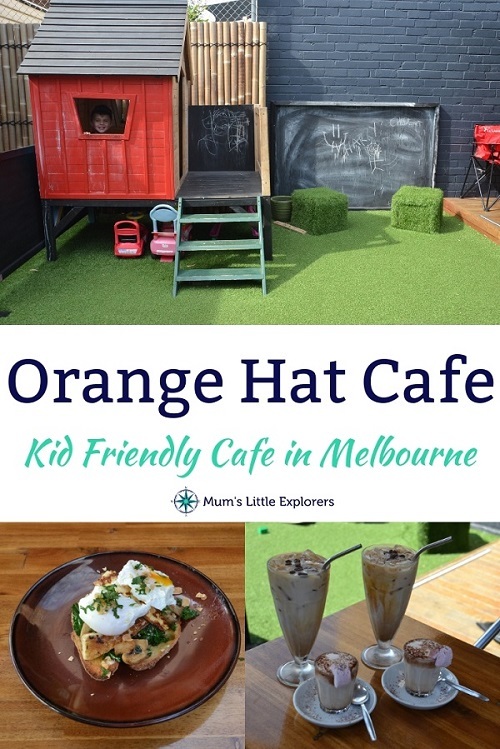 If you are looking for a kid friendly restaurant / café in the West try Orange Hat and let us know how you go! 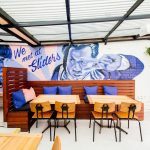 Looking for more Melbourne Eats for Kids? 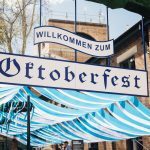 See all of our Kid Friendly Restaurants and Cafes, and check out our Melbourne for Kids page for kid friendly activities to do in Melbourne. 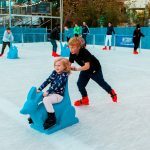 Follow us on Facebook for new things to see and do in Melbourne with kids!